Image courtesy of William Banzai7. While the Pentagon has tried to blame our economic problems on foreign terrorists, it is our own corrupt policies which caused them. What transpired around the killing, or killing announcement, of Osama bin Laden has been astounding. Whether you believe that bin Laden was “taken out” by this NAVY Seal operation, after nearly a decade, two wars, an over 81% increase in the military budget, and thousands of deaths, following the tragic loss of life on 9/11, or whether you believe he was dead and iced years ago and strategically used as a sign of unflappable leadership, is irrelevant. The surrounding uproar was theatre of the extravagant, no matter how you slice it. But, theatre was invented for distraction, in culture and in politics. So while all the Osama drama was unfolding, the Treasury Department issued another plea for raising the debt ceiling, aka supporting its pro-bank policy. It went something like this: We need to borrow more to pay social security obligations and not default on our debt, so other countries won’t question our ability to manage an economy (as if that hasn’t already happened) and we won’t have to pay more to borrow more. If we don’t – you know what’ll happen – yep, another financial crisis. Though technically correct, omitting the fact that our leaders chose to float the financial system on such an unprecedented scale with no obvious Main Street benefits - hence the massive and quick debt increase - continues to show an aversion to reality. Flashback five years. George W. Bush’s second Treasury Secretary, John Snow, plead the same thing. (He wasn’t unique, of course, Congress has acted at Treasury Secretary request to raise the debt ceiling 78 times since 1960, 49 times under Republican presidents, 29 times under Democrats.) Snow threatened he was being forced to cut payments to civil servants, among other things, but didn’t mention the real reason for the debt hike requirement, like the Iraq war or the tax cuts that stifled revenue collection. He had used similar arguments at the end of 2004, at time when the debt ceiling was about half what it is today. Raising debt ceilings is a bi-partisan institution. The show is always the same. The Treasury Secretary begs Congress. Congress debates than agrees. No one questions the real reasons we pursued the excess borrowing. Since Snow made his plea, a number of things happened; a continued war, an extra war, a collapse of the financial system, a subsidization of the financial system, a decline in employment, home prices, average wages for most of the population, and an increase in foreclosures, executive bonuses, and personal bankruptcies. Hitting the debt ceiling isn’t about spending gone haywire because the Social Security and Medicaid buckets are too small for the people that rely on these programs; it’s about the big-ticket items– like recently, bailouts. In April 2008, just after federal subsidization of the sale (read: hostile takeover) of Bear Stearns to JPM Chase, and before the rest of the big bailout began, public debt was $5.22 trillion, intragovernmental was $4.08 trillion (56% and 44% of the total debt.) The debt cap then, was $9.815 trillion. Public debt has nearly doubled since before the big bailout, while intragovernmental debt has increased just 15%. Some (like Geithner, Bernanke, etc.) may argue that this balloon in public debt was required to save our economy, though there’s little evidence of it doing anything but cheaply floating our financial system, not least because nearly half of the additional $4.4 trillion of public debt that was created it is stashed at the Fed as either excess reserves or QE2. Now that the Osama drama has died down a bit, and Congress returns to economic discourse with Tim Geithner over not whether, but by how much, the debt ceiling will be raised, the partisan bickering will resume its thunderous levels of inanity. No one on the Hill will question the true why behind the debt – because it would lead back to that mammoth fuchsia elephant - we, the elected and appointed, screwed the country to support the power banks, and we’d do it again, in fact, we already are. With respect to bin Laden, conflicting stories will go on forever – when did he die?, who’s body is in the ocean? why didn’t Obama release a photo? But with respect to the economy, it’s super clear - our debt ballooned and our economy deflated, to subsidize banks and their practices, period. We can’t blame that on Osama bin Laden. Of course, the trillions of dollars which Bernanke has given, loaned, guaranteed or otherwise printed up have gone to the big banks (including foreign banks such as the bank of Libya) and wives of Wall Street bigwigs, instead of Main Street. Moreover, our national security apparatus has been hijacked to serve the needs of the biggest businesses, instead of America as a whole. Thank you for getting in touch with me about Ben Bernanke's nomination to chair the Federal Reserve. It's great to hear from you. I was advised that rejecting his nomination would cause markets to nose dive, which would hurt retirees and families saving for their future. I am not enthusiastic in my support. 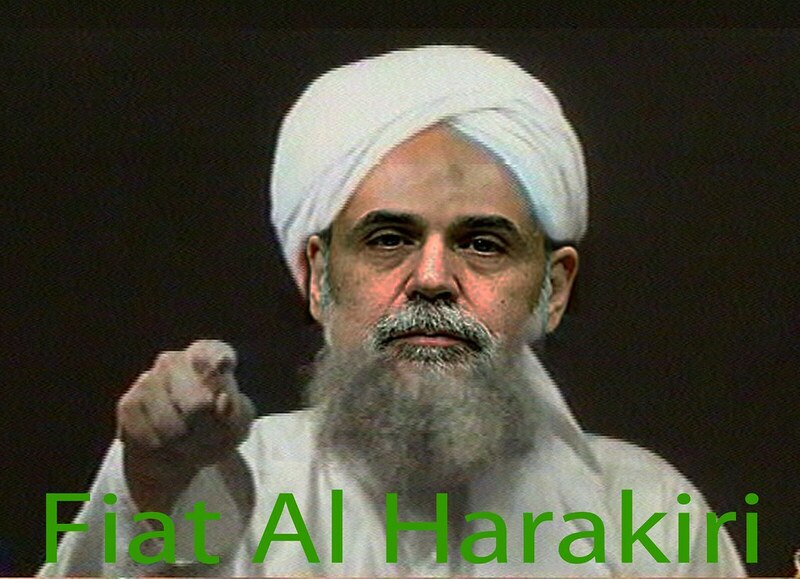 But I think Mr. Bernanke understands the job that he still has to do. Thank you for contacting me. I appreciate hearing your thoughts about President Obama's decision to nominate Ben Bernanke for another four-year term as Chairman of the Federal Reserve (the Fed). I voted against approving Mr. Bernanke, who was nevertheless confirmed by the Senate by a vote of 70-30. While I have heard the concerns of many that the failure to confirm Mr. Bernanke would have damaged the financial markets and jeopardized our economy recovery, I do not believe that anyone, including Mr. Bernanke, is too big to be replaced. We should not hold our economy hostage to the Wall Street threat that total economic collapse is the sure result of not doing everything they want. Thanks again for contacting me. Please do not hesitate to do so again about this or any other issue that may concern you. So irrelevant had Bin Laden and his jihad rhetoric become that, in the months preceding his assassination, every one of the uprisings occurring throughout the Middle East and North Africa was secular and in direct opposition to Bin Laden’s militant pan-Islamic vision. * Help America win losing wars in Afghanistan and Iraq. * Lower the unemployment rate. * Stop the US or European nations from sinking deeper into recessions and depression. * Revive failing real estate markets or solve the debt and deficit crises. * Lower oil and food prices. * Reverse the damage or stop the radioactive fallout from Fukushima. Meanwhile, back in DC, the Chairman of the Fed, Public Enemy No.1, “Osama” Ben Bernanke, will mastermind the destruction of the American dollar, the US economy and the purchasing power of the American people. And the question of whether people are going hungry because Bernanke's money-printing is causing food prices to rise is an important one.